Colombian football icon Carlos ‘El Pibe’ Valderrama has given RT his insight into the stunning victory of Los Cafeteros over Poland and an upcoming matchup with Senegal. He is predicting a tough bout for his resurgent team. 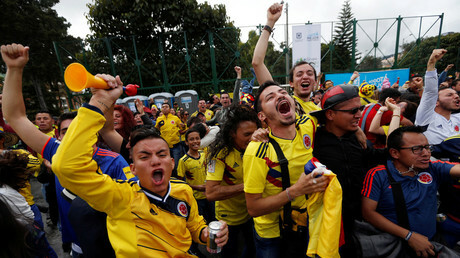 Valderrama, who is considered by some to be Colombia’s greatest player ever, watched his former team showing no mercy as they crushed the listless Polish squad 3-0 at the packed Kazan Arena on Sunday. The legendary midfielder, equally famous for his skills and wild hair, then talked to RT Spanish about his impressions about the game. While it might now seem like an easy walk for Colombia, El Pibe said that the game could go either way and depended on which team opens the scoring. “We knew it was going to be a very difficult game because the team who scored first was going to get an advantage. Luckily, we were given an opportunity to score in the first half. The game got calmer in the second,” Valderrama said. Noting that he was excited about all three of the unanswered goals Colombia put in the back of the net, he argued that Yerry Mina’s header in the 40th minute was the key. Sunday’s victory has given new momentum to the team, which suffered a painful 2-1 loss to Japan in its first game at the World Cup, reinvigorating its hopes of advancing to the knockout stage. The newly-found confidence will come in handy in the upcoming game with Senegal on Thursday, ‘El Pibe’ said, noting that Colombians should by no means drop their guard with such a tough opponent. 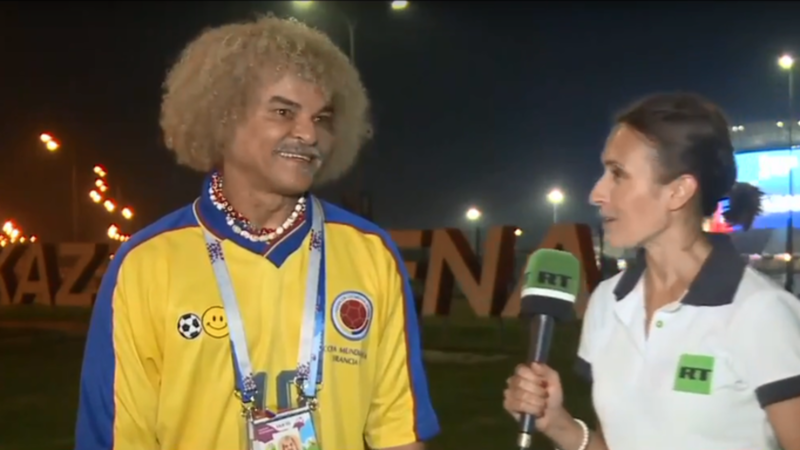 Watch the full interview with Carlos ‘El Pibe’ Valderrama in Spanish on YouTube.